Started learning to program just over a month ago now, decided to pick Python as my first language. Spent the past few days working on this with the knowledge I have gained so far. 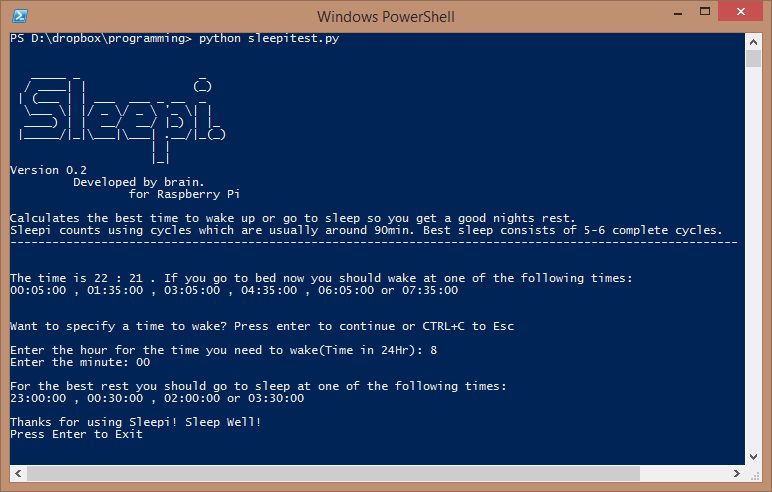 Sleepi is a small application which calculates the best time to wake up or go to sleep so you get a good nights rest. Currently just a simple text based application, with a plan to update in the future with full GUI. I make things, usually putting Raspberry Pi in things. Bytebox: An adventure into hardware, software and the Internet of Things.